These extracts from a few of the 94 stories in the book give a flavour of the rich range of experiences collected in its pages. And after he’d given me my new name on a sheet of paper, he sat back in his chair and, just as I’d expected, he asked me what meditations I had been doing. “No, no! I’ll do it the way you say to do it!” I gasped immediately, flustered that he had totally seen through my ruse. “Mm, Madhuri?” Osho said, as I sat down in front of him. “You go back to the West.” He had clearly read my letter of complaint and had now called me to see him. Go back to the West? “No!” I said. It just came out like that. 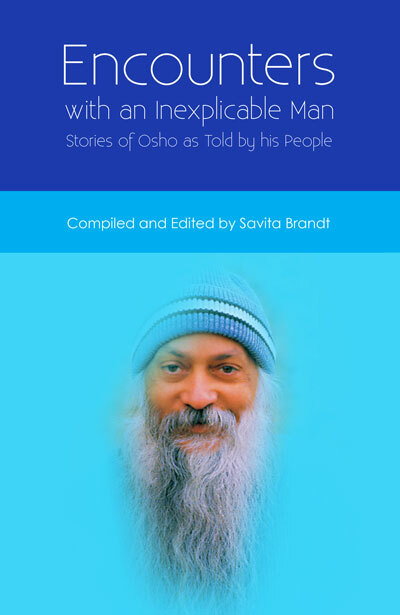 No one ever said “No” to Osho, at least no one who was living in his ashram, as I was. “No?” he repeated. And then he paused while I looked at him, shocked at what I’d just said. Maybe he was waiting for me to change my mind. “Okay!” He said, and he nodded to Vivek sitting next to him. Vivek disappeared through the door behind her and a minute or two later came back carrying something, which she passed to him. Osho then sat with it on his lap for a moment and then with both hands handed it over to me. I looked down and saw…it was one of his robes. He had given me a gift!